”To grind it out and pick each other up, it’s huge,” Cashner said. Trumbo was ejected by plate umpire Jeremie Rehak after he struck out on a close check-swing in the ninth. 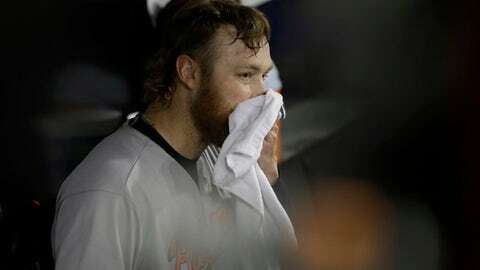 It was Trumbo’s first career ejection, and the first one for the Orioles this season. White Sox: OF Nicky Delmonico (broken right hand) had another set of X-rays and said everything is in place. He is under orders to protect his hand right now while it heals, so he is using his left hand as he goes about his life. ”I’m learning how to do everything again,” he said.